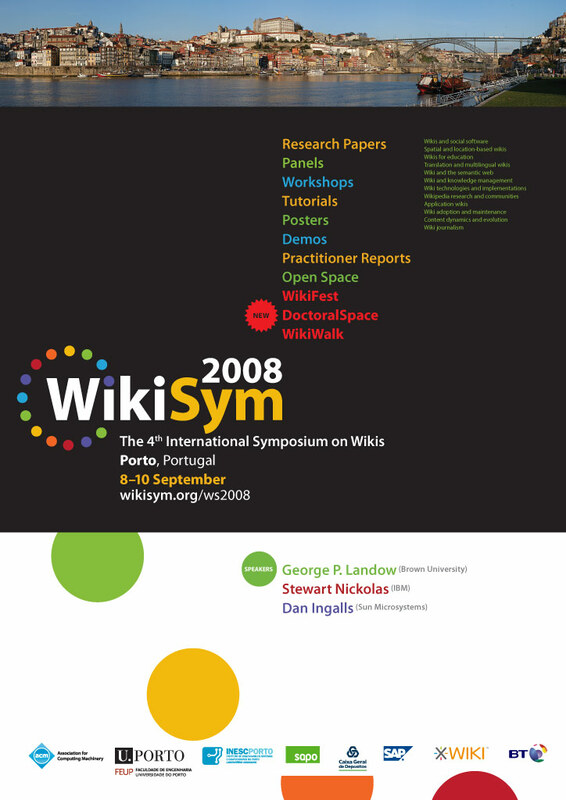 The 2008 International Symposium on Wikis will be held at the Faculty of Engineering of University of Porto, in Porto, Portugal, September 8-10, 2008. 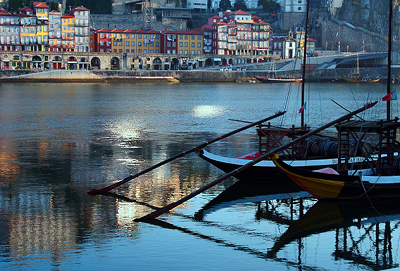 Porto put the 'Portu' in 'Portugal', a name dating back from Roman times. Overlooking the Douro River, Porto is the Portugal's second-largest city, one of the most ancient European cities, classified World-Heritage by UNESCO. Beyond its welcoming environment and the world-famous “Vinho do Porto” (Port wine), Porto’s historical centre and landscape combines harmony with the urban structure, and presents a frame of rare beauty. Porto's international airport (Francisco Sá Carneiro) is well served by scheduled international flights and discount air carriers, making it readily and economically accessible. The best way to get from the airport to the conference site is using the Metro . The average waiting time is 25 minutes. The ticket is a Z4 costing € 1.4. The trip takes about 35 minutes. You travel in line E (violet), in the direction of Estadio do Dragão, changing at station Trindade to line D (yellow), in the direction of Hospital S.João. Then you leave at station IPO, and you are 500 meters from the conference site (see map below). To go to the hotels, you can check the Metro network to find the best route. Besides the Metro, you also have STCP buses and CP trains. There are two main train stations within the city: S.Bento and Campanhã at your disposal to plan any visit or trip within the city or to the outskirts. Porto has a wide range of Hotels, Inns and Hostels suited for all accommodation needs. From those, we have selected some considering their proximity to the venue, and price/quality category. In order to overcome booking difficulties, we pre-booked for WikiSym a large set of rooms till end of June, so hurry up! More details in the Accommodation page. Porto is rich and diverse in gastronomy highlights. From the quick snack to a full-blown meal, there are numerous "places of replenishment and pasture", where one can try all the local delicacies. The two most typical local dishes are: Francesinha and "Tripas à Moda do Porto". This last one is considered the traditional food of the city. Historically, the locals became often known as "tripeiros" or tripe eaters. This mall is located 500 meters from the conference site, where you can find several (from "fast" to "less fast") food parlours, restaurants and coffee shops. It is next to the Ibis Hotel and the IPO Metro Station. Very handy when at FEUP. Besides the several Shopping Centers (see map below), there are a many areas in the city where you can find several eating options. Due to its location and diversity of offer we recommend Ribeira and Cais de Gaia. On the Porto side of the river Douro, also know as "Ribeira" there are several restaurants often recommended by "tourism guides" where you can try out all the typical local dishes. On the Gaia side of the river Douro, and along the bank, there is an assortment of several typical restaurants from "haute cuisine" to typical local food establishment, overlooking the river and "hiding" the Port Wine Cellars behind them. "Port Wine, a symbol of Portugal in the world, holds the history of a country and its people and has become through the years a cultural landmark of the work, experiences, knowledge and art gathered through generations. Encloses in itself years and years of history and tradition, and it is attached to a region - The Douro Region - whose beautiful landscapes, source of attraction since the first moment for never to be forgotten, were influenced by it. Although the only boats that moor in the former harbor quarter of Ribeira are those taking people for trips on the river, this part of Porto still retains much of its former charm. Life centers on the Praça da Ribeira. Here and in the alleys around about, the "travessas", there is a maze of colorful houses which are a picturesque attraction for the tourists. Some of the houses along the bank of the Douro were renovated and refurbished. Today they are art galleries, boutiques and high class restaurants, calm during the day and teaming with life and entertainment in the evening. The amazing view from the Gaia bank side is apauling and unforgetable. "Casa da Música is a major concert hall space in Porto, Portugal which houses the cultural institution of the same name with its three orchestras Orchestra Nacional do Porto, Orchestra Barroca und Remix Ensemble. It was designed by the Dutch architect Rem Koolhaas with Office for Metropolitan Architecture and Arup-AFA, and was built as part of Porto's project for European Culture Capital in 2001 but was only finished in the first half of 2005 and immediately became an icon in the city." There is always a stream of cultural events throughout the year. Please see the agenda for details on all planned events. Porto's Red Bull Air Race 2008 will take place in the two days immediately before the conference, a great opportunity for those that can arrive earlier at Porto and enjoy air races (see Porto's 2007 highlights). 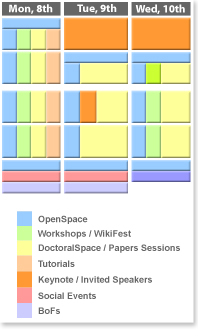 Free access! If you are not finding the information you look for, please don't hesitate to contact Ademar Aguiar through chair@wikisym.org.